THE NEW YORK TIMES BESTSELLER Drugs are not what we think they are. Addiction is not what we think it is. And the war on drugs is not what we see on our TV screens. 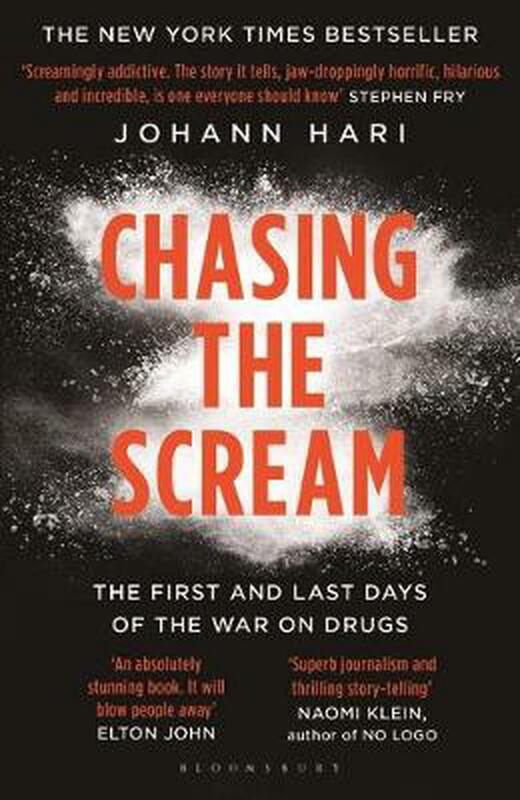 In Chasing the Scream, Johann Hari shares his discoveries through the riveting true stories he uncovered on a 30,000-mile journey - from the founder of the war on drugs who stalked and killed Billie Holiday, to a transgender crack dealer in Brooklyn, to the only country that has ever decriminalised all drugs, with remarkable results. You will never look at addiction - or our society - in the same way again. What if everything you think you know about addiction is wrong? One of Johann Hari's earliest memories is of trying to wake up one of his relatives and not being able to. As he grew older, he realised he had addiction in his family. Confused, unable to know what to do, he set out on a three-year, 30,000-mile journey to discover what really causes addiction - and what really solves it. He uncovered a range of remarkable human stories - of how the war on drugs began with Billie Holiday, the great jazz singer, being stalked and killed by a racist policeman; of the scientist who discovered the surprising key to addiction; of how Britain had an extraordinary experiment with legalising drugs that was snuffed out; and of the countries that moved beyond the war on drugs - with extraordinary results. His discoveries led him to give a TED talk and animation which have now been viewed more than 25 million times. This is the story of a life-changing journey that showed the world the opposite of addiction is connection. Johann Hari is a British journalist who has written for the New York Times, the LA Times, the Guardian, Le Monde, Slate, the New Republic and The Nation amongst others. He was a columnist on the Independent for nine years and was twice named Newspaper Journalist of the Year by Amnesty International UK. He has also been named Cultural Commentator of the Year by the Editorial Intelligence awards and Gay Journalist of the Year by Stonewall. He lives in London. Well researched book with reasoned discussion about the history of the war on drugs and the social carnage the war has cause world wide. Print slightly on the small side for the optically challenged . Recommend as a must read.